We were so grateful for the recent opportunity to gather around the table with some of our corporate mamas, to share some laughs and our best ideas about amplifying our efficiency at work and at home. 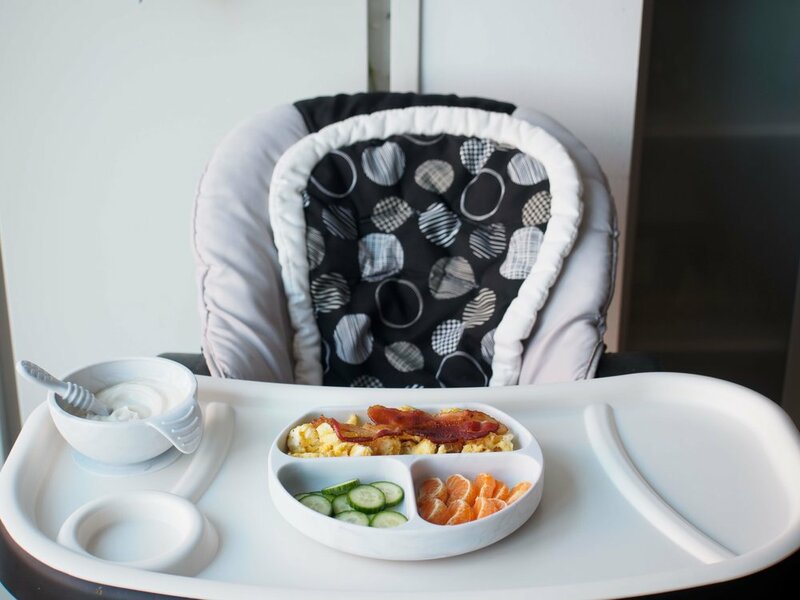 Our friends at Britax joined us to contribute some of their favorite tips for maximizing efficiency on your commute - like their new Nanotex fabric that wipes off clean. And every mama took home a Britax B-Ready G 3 Nanotex Stroller - making us all a little zippier on the go, and giving us each a lil’ somethin’ extra to feel thankful for this Thanksgiving season! Big thanks also to Maman for having us, and to #MINDRMAMA and photographer Rashmi Gill for capturing all the action. We love that the beautiful Britax B-Ready is carried exclusively by Brixy, a network of independently owned and operated baby stores. There’s no better time than this Small Business Saturday to shop local, so scope out your closest store here. Figuring out the division of labor at home is never easy. From those very first days when we nervously bring our fresh little human home, there are seemingly infinite decisions to make about who does what, when, and how often. 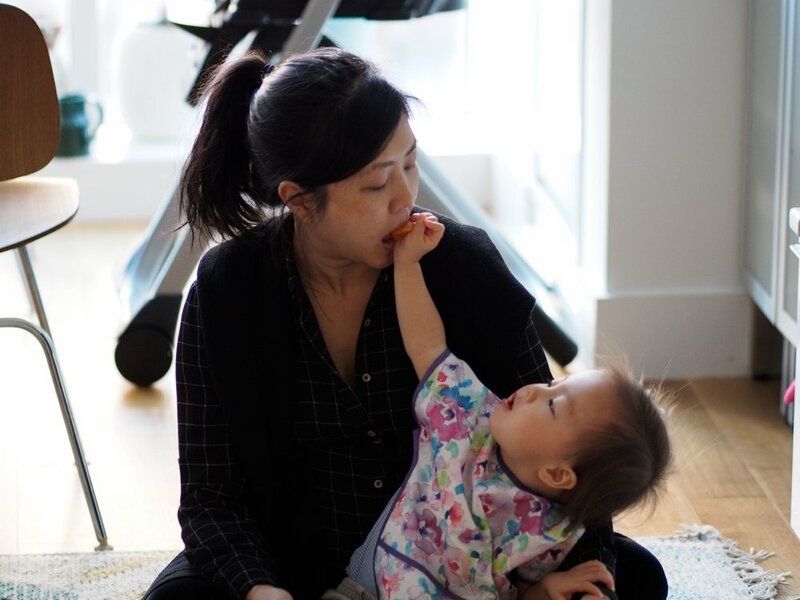 We partnered with our friends at Bumkins to interview three full-time working #MINDRMAMAs about how duties are shared in their household (and got some scrumptious snaps of their families using the Bumkins gear that can help get them through the day.) First up in this three-part series is Jessica Wey, a creative director in a Manhattan advertising firm. 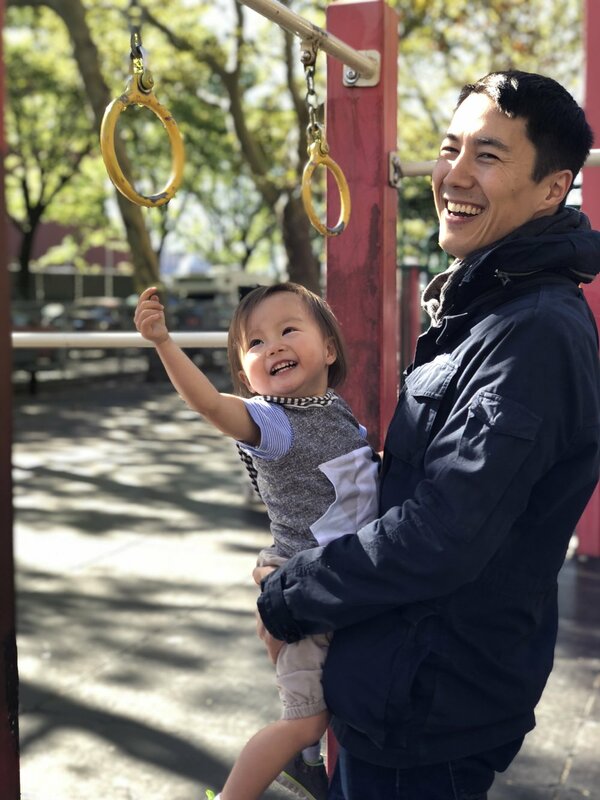 My husband, Jon, and I live in Greenpoint, Brooklyn with our adorable almost 2 year-old girl, Max. I work as a creative director in a Manhattan advertising firm, and Jon is an attorney with a home office. 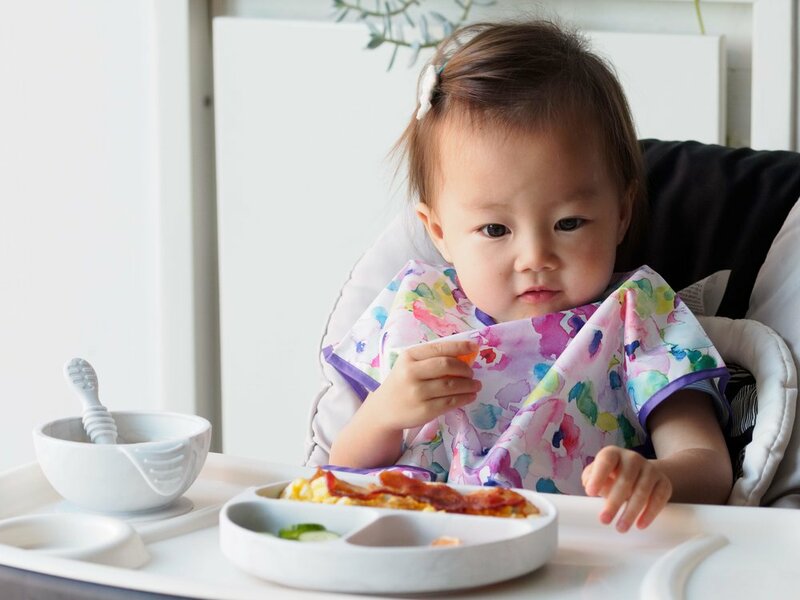 Jessica’s daughter Max is pictured with Bumkins’ Junior Bib in Watercolor, Silicone First Feeding Set in Marble, and Silicone Grip Dish in Marble. Our weekday is pretty typical of most city-dwellers. 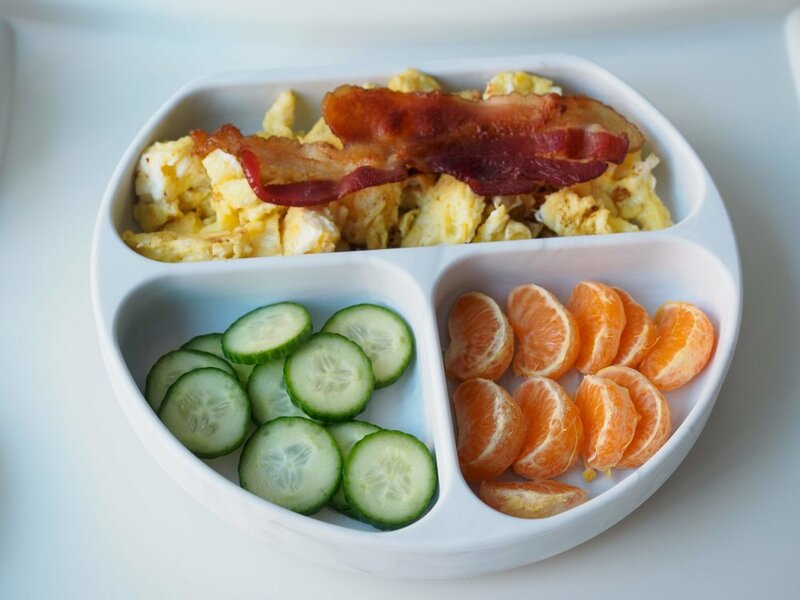 We wake up, pull together a quick breakfast, and get ourselves ready for the day. (Recently, Max has finally grown enough hair to be gathered into some semblance of pigtails, which is rather exciting!) After we’re ready, we set off toward our daytime destinations. Twice a week, Max gets dropped off at her friend’s place for their nanny share, and three times a week the share is hosted at our place. I commute to the city for the workday, which is filled with meetings and calls, and often cross-country travel. Fortunately, I can define my hours such that if I leave early (before 6 pm) I have time to get home, eat dinner, give Max her bath, put her to bed, and then log back on afterward to wrap things up before turning in for the night. I wish I could better routinize exercise into my typical weekday. My husband and I have been strategizing on becoming early bedtime/early risers to potentially incorporate runs or yoga in the morning. My husband and I are very conscious of sharing the burden. Since he has a more flexible work schedule, he takes care of childcare drop-off, pick-ups, and meal prep/dishes. I’m typically more involved with managing bills, household purchases, and general cleaning. I weirdly love doing laundry and find it therapeutic. Did you actively decide on this balance, or did it just kind of happen that way? The division of labor naturally fell into place as I returned to work. 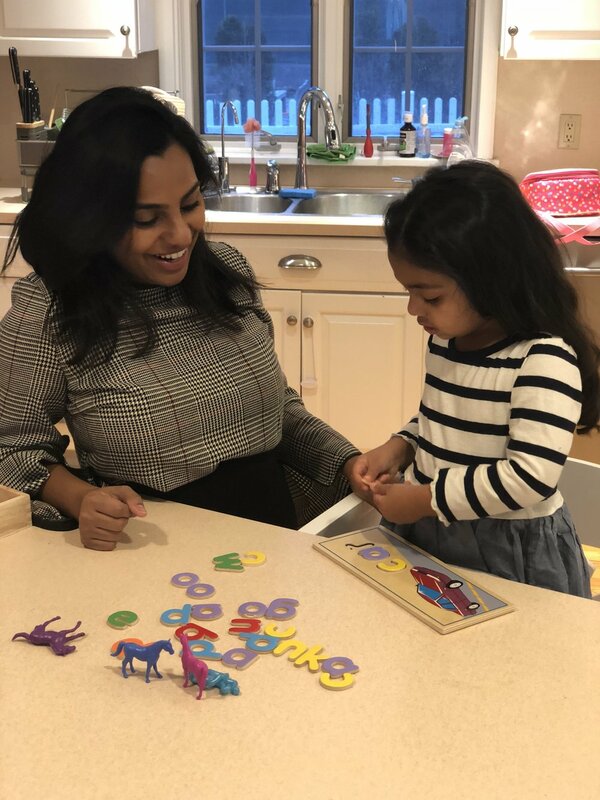 While my work has some flexibility, I have a significant commute, which is why Jon takes on the lion’s share of time-sensitive childcare responsibilities (pick-ups, drop-offs, meal prep). Since I am more available in the evening, I take care of Max’s bath time and bedtime routine. For the moment we are doing OK, but we are expecting another baby girl in January! Our lives will be totally upended for as we figure out how to temporarily restructure our time with less sleep. We do want to tweak our schedule so Jon can devote more continuous time to his work; my home presence during maternity leave will provide an opportunity for us to try rebalancing the load and experiment with what works. Family. Grandparents, aunts, uncles, you name it. If you have the privilege to have family in proximity, that is! Parenting with just one other person on your team is tough. Whether it’s family, friends, childcare providers, etc, build up your network of support. Raising children is a collective effort and it is reassuring when you’ve got a loving team at the ready.